Have You Had a Home Electrical Safety Inspection Lately? 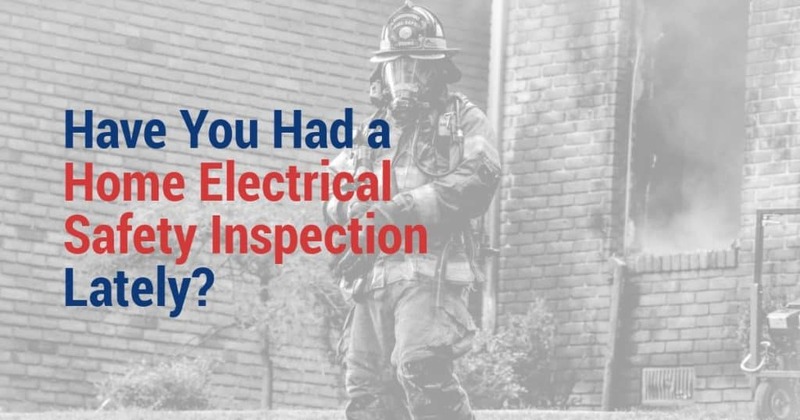 According to the National Fire Protection Association’s March 2017 Electrical Fires Report, fire departments across the United States responded to an average of 45,210 home structure fires as a result of electrical malfunction or failure between 2010 and 2014. An additional 31,960 non-confined home structure fires which involve lighting equipment or electrical distribution were responded to annually during this same period. Many homeowners hire qualified electrical contractors to perform electrical safety inspections on their homes. This is especially important if you live in a home that is more than 10 years old. The holiday season is just around the corner, and since there is an increase in electrical related home fires during the holidays, now is the time to consider having a professional and experienced electrical contractor conduct an electrical safety inspection of your home. Having an experienced electrical contractor check all of your electrical outlets is important to the safety of your home. We can quickly diagnose and fix any polarity and grounding issues that may otherwise not be apparent. Qualified electrical contractors can also check and/or equip your home with ground-fault circuit interrupter (GFCI) outlets. Electrical contractors can inspect a home’s circuits, fuses and breakers to ensure they are able to handle the expected power load, are in proper working order and check for any hazards such as accumulation of dust on latches. Qualified electrical contractors can evaluate both your indoor and outdoor lighting to identify any safety concerns and even make recommendations on improving the quality and efficiency of the existing lighting structure. There are a few safety checks homeowners can perform in addition to an electrical safety inspection by a licensed electrical contractor. Checking the function and batteries in your smoke detectors at least monthly is extremely important. You can also identify potential electrical problems by being aware of any flickering lights or strange humming sounds. If you experience any of these, it is important to contact a qualified electrical contractor to evaluate the problem right away. Have you had a professional home electrical safety inspection within the last 3-5 years? If not, then please give us a call as your safety is important to us. Top Flight Electric is a qualified and experienced electrical contractor serving clients throughout Polk County, Florida, including the cities of Lakeland, Winter Haven and Eagle Lake.